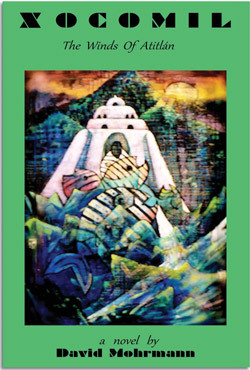 BOOK PRESENTATION & READING (English) XOCOMIL, The Winds of Atitlán by David Mohrmann. This novel spans what many historians term the Guatemalan Civil War. The story begins and ends at Lake Atitlán. In between this epic novel takes the reader from traditional Mayan villages through the war-torn mountains of Guatemala; from cornfields in Kansas through the jungles of Vietnam; from pot-filled hills in Northern California through the psychedelic haunts of San Francisco to the ruins and magic mushrooms of Southern Mexico. It is about simple lands full of complex intrigues and hope. Always hope.